Swimming at the Russian River on Labor Day went really well. Ali had a blast, as usual. 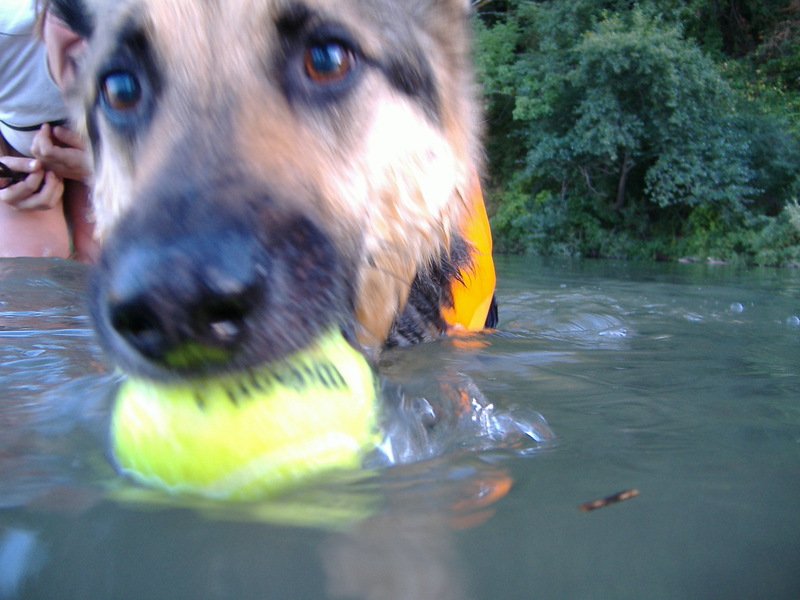 Thank goodness he loves tennis balls so much – the compulsion to retrieve them keeps him excited to swim and swim! 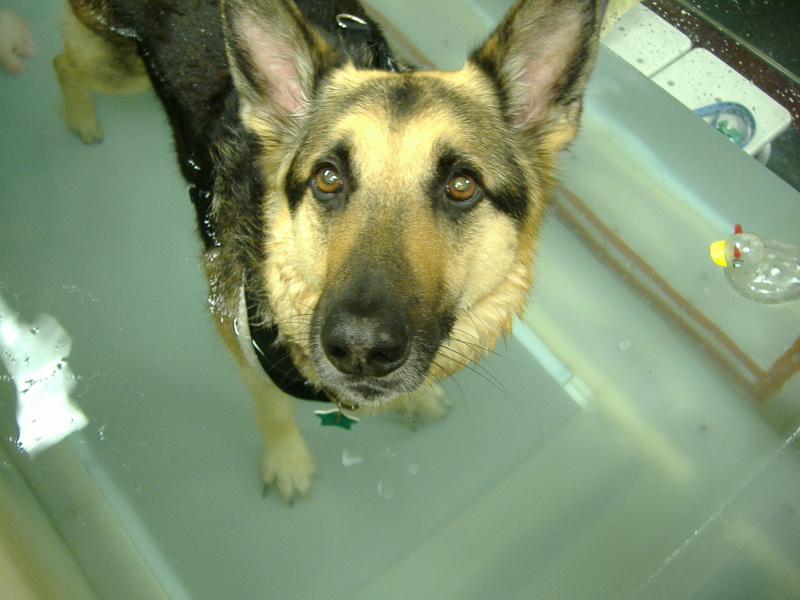 I believe I mentioned the amazing physical benefits of swimming for a dog in Ali’s condition, but the psychological benefits are also immeasurable. 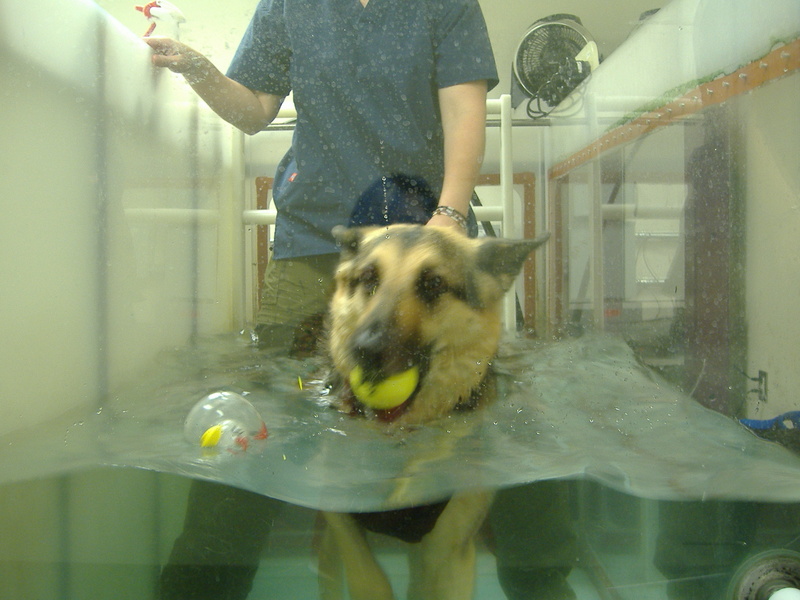 A few days later we had an appointment with the underwater treadmill and Ali took a few steps in a row (unassisted) with his right foot! Remember last time I mentioned he placed his right foot just once and Juli said that was a “milestone?” Well, that was one week earlier. This time he took three consecutive steps in a row several times during the session. Progress! After I was able to take him swimming three times over Labor Day weekend, I had a feeling I saw some improvement. Juli confirmed it when she saw him on the treadmill. It could just be the normal course of his recovery, but I have a feeling the swimming could be accelerating things. It’s certainly not hurting! Same thing with acupuncture and everything else we are doing. I want to give him every chance. He continues to amaze me. 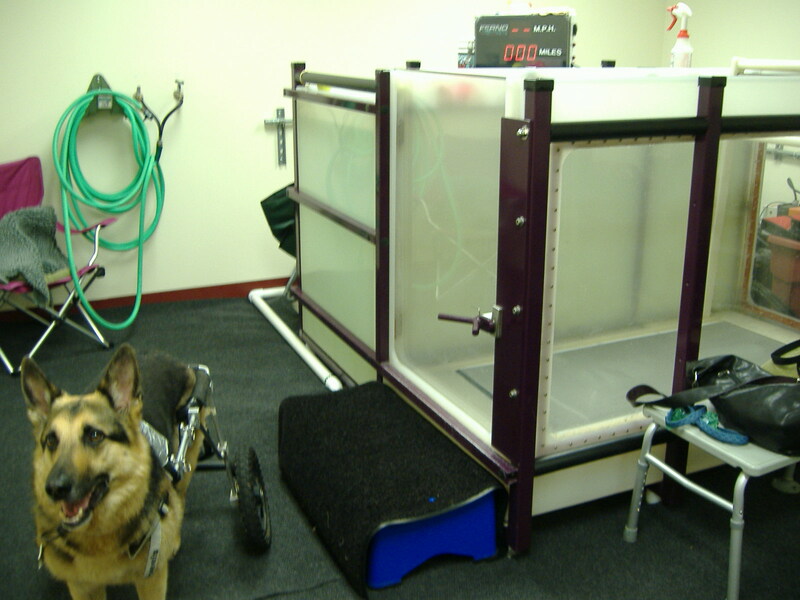 Yesterday, Ali took steps with his right leg in the cart for the first time without knuckling. He did it a few times at the park by Kevin’s house. I couldn’t believe it! We had taken him swimming the previous evening in the American River. Then last night, after we drove home from Sacramento, we met friends at the Russian River for another swim session. After swimming, while Ali was standing up on the blanket, he took 2-3 steps independently with his right foot! Everyone saw it. We all whooped! It’s amazing. First a couple steps in the cart and then while standing on his own…all of this happened in one day. His right leg is waking up! I really think he is going to walk again. I have never said that out loud before, but I said it this morning when I saw him take a few more baby steps on his own, while placing his right foot. I have always been afraid to say anything like that because on some level I must admit I am superstitious about doing or saying anything to “jinx” it…whatever the hell that means. It doesn’t make sense, but that doesn’t stop these irrational beliefs from taking root in my psyche. But you know what? It felt good to say it. It has been exactly seven months since his surgery. I remember because it was the day before Valentine’s Day.